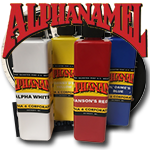 Better coverage, smoother flow, higher gloss, and longer lasting than other striping/lettering enamels on the market. 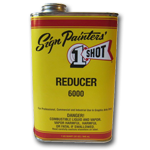 come with rattlers inside to ensure you never waste another drop of your precious paint. 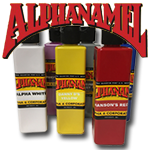 Better coverage, smoother flow, ultra flat and longer lasting the other striping/lettering enamels on the market. Comes with Alpha 6 rattlers! 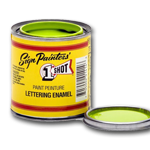 Better coverage, smoother flow, higher gloss and longer lasting the other striping/lettering enamels on the market. Comes with Alpha 6 rattlers! 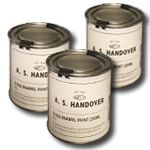 Signwriting & Pinstriping Enamel Farbe aus dem Hause AS Handover. An oil based clear topcoat which will prolong the life of a sign by offering increased protection against ultraiolet light. Gloss finish. 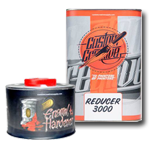 Special paint developed for pinstriping and lettering because of its viscosity. 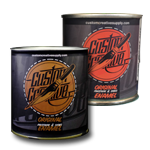 With Custom Creative paint we can do pinstriping over shiny surfaces ensuring perfect adhesion, brightness and hardness without the needs of hardeners. It may be also used to decorate leather.